Second only to the ketogenic diet, Whole30 has been surging in popularity in 2018, and Pinterest's new data reflects that trend. The popular diet plan was designed to reset your metabolism, improve gut health, and reduce cravings by cutting out dairy, grains, alcohol, legumes, added sugar, and all types of "junk" food. As such, finding tasty recipes that actually fit these parameters is easier said than done. 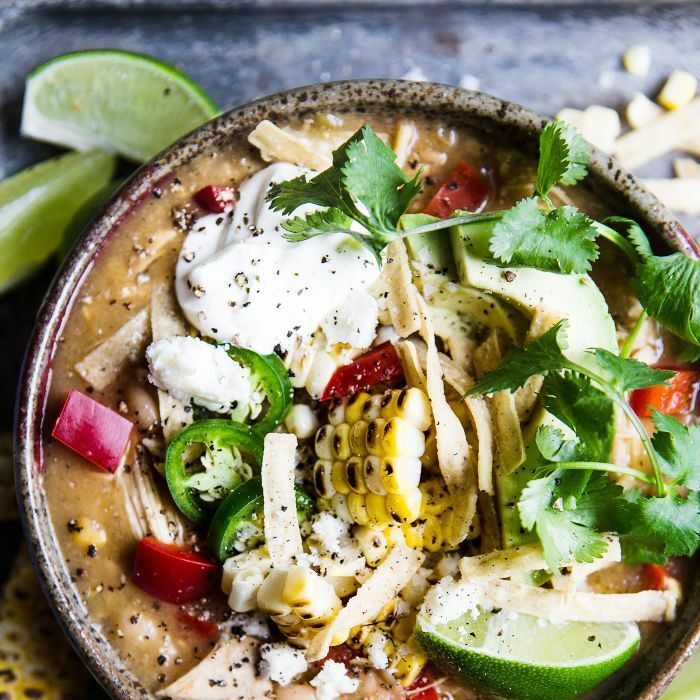 Enter The Real Food Dietitian's recipe for slow cooker white chicken chili, which is Pinterest's most popular Whole30-friendly recipe, with over 200,000 saves. Add onion, peppers, garlic, and spices (cumin through black pepper) to the bottom of a slow cooker. Arrange chicken on top of vegetables in a single layer. Add broth and place lid on slow cooker. Set heat to low and cook seven to eight hours or until chicken is done and vegetables are tender. Turn heat to high. Add coconut milk, stir, and replace lid. Continue heating an additional 10 to 15 minutes or until soup is heated through.